At P&N Plastering, we have the ability to source the required materials and labour for commercial plastering projects. We primarily work with main building contractors providing our expert plastering services for their projects. Over the years we have grown to a 10 strong regular plastering team. We also have the contacts to ensure our workforce is fully scalable. All of our team hold the relevant insurance, and hold a CSCS card in site Health & Safety. We have established ourselves over the years through providing the highest quality workmanship and efficient completion of projects. We have an infinite wealth of knowledge and pride ourselves on achieving the highest standards which our top end building contractors and architects require. We are committed to training and investing in up and coming plastering talent. We want to ensure that these skills, are available for future generations to come. Our services include: insulations, coving, screeding, all drywall applications and plastering including internal lime plastering for traditional projects such as listed buildings. 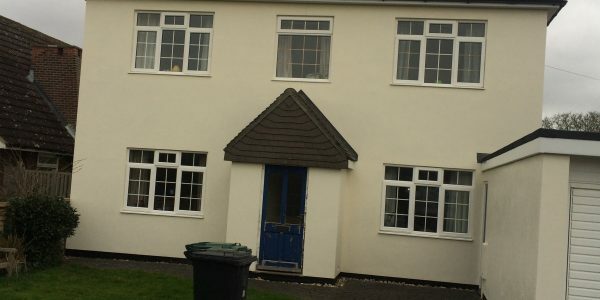 We also provide all external renders including monocouche and K render. users, its really really good post on building up new webpage. therefore I only use world wide web for that reason, and obtain the hottest information. Thanks for finally writing about >Who We Are – P&N Plastering <Loved it! fresh spin on a subject which has been discussed for many years. community. Your site provided us with valuable info to work on. You have performed an impressive process and our whole neighborhood will likely be thankful to you. It’s always exciting to read through content from other authors and practice a little something from other sites. I simply want to tell you that I am very new to blogging and certainly liked your web site. Almost certainly I’m going to bookmark your website . You absolutely come with outstanding stories. Thanks a lot for sharing with us your website. I do not even understand how I stopped up here, but I believed this put up was once good. Hi friends, good piece of writing and good arguments commented here, I am really enjoying by these. Whats Going down i’m new to this, I stumbled upon this I’ve found It absolutely helpful and it has aided me out loads. I am hoping to give a contribution & aid other customers like its aided me. Good job. I do accept as true with all the concepts you have presented on your post. They’re really convincing and can certainly work. Nonetheless, the posts are too quick for newbies. May just you please prolong them a bit from subsequent time? Thank you for the post. at web, however I know I am getting know-how every day by reading such nice posts. I’m still learning from you, but I’m improving myself. I absolutely liked reading everything that is posted on your site.Keep the tips coming. I loved it! Thank you for every other magnificent article. The place else could anyone get that kind of information in such an ideal approach of writing? I’ve a presentation next week, and I’m on the look for such info. wonderful issues altogether, you just gained a new reader. What may you recommend about your submit that you simply made some days in the past? Any sure? I together with my guys have already been checking the good ideas located on your site and suddenly I got an awful suspicion I never thanked the web blog owner for those secrets. My women are already absolutely very interested to learn them and now have seriously been having fun with those things. Appreciate your simply being really helpful and then for deciding upon this form of tremendous ideas millions of individuals are really eager to understand about. My honest apologies for not expressing appreciation to earlier. Thanks for another informative web site. Where else may I get that kind of information written in such an ideal means? Anyway I’ll be subscribing on your augment or even I fulfillment you get admission to persistently quickly. I intended to compose you a little bit of note to give many thanks again on your pleasant strategies you’ve contributed above. This has been really unbelievably open-handed of people like you to convey publicly what some people could possibly have supplied for an e-book to make some cash on their own, primarily considering the fact that you might have tried it in the event you desired. These secrets as well served to be a fantastic way to fully grasp that many people have similar eagerness similar to my own to figure out more and more related to this matter. I’m sure there are millions of more enjoyable occasions in the future for those who discover your blog post. I have read some good stuff here. Definitely value bookmarking for revisiting. I wonder how much effort you put to make one of these fantastic informative website. be subscribing for your rss feed and I’m hoping you write again very soon! I have been exploring for a little bit for any high quality articles or blog posts in this kind of space . Exploring in Yahoo I at last stumbled upon this website. Reading this information So i am happy to express that I have an incredibly excellent uncanny feeling I discovered exactly what I needed. I so much indubitably will make certain to do not put out of your mind this web site and provides it a glance on a constant basis. I definitely wanted to jot down a quick comment to be able to say thanks to you for all the awesome points you are posting at this website. My extensive internet look up has at the end been honored with reliable information to go over with my partners. I ‘d state that that we readers are quite blessed to be in a fine website with many outstanding individuals with beneficial points. I feel quite grateful to have come across your entire webpages and look forward to many more awesome moments reading here. Thanks again for all the details. Thank you a lot for providing individuals with an extraordinarily brilliant possiblity to discover important secrets from this site. It’s usually so sweet and full of a good time for me and my office colleagues to search your website not less than thrice in one week to read the newest issues you have got. And indeed, I’m also certainly fulfilled for the terrific opinions you serve. Some 4 points on this page are unequivocally the simplest I’ve had. Good ¡V I should certainly pronounce, impressed with your website. I had no trouble navigating through all the tabs and related information ended up being truly simple to do to access. I recently found what I hoped for before you know it in the least. Reasonably unusual. Is likely to appreciate it for those who add forums or something, website theme . a tones way for your client to communicate. Nice task..
Somebody essentially assist to make critically articles I might state. That is the very first time I frequented your website page and thus far? I amazed with the analysis you made to make this actual submit incredible. Excellent activity! I precisely had to thank you very much again. I’m not certain the things that I could possibly have created in the absence of the actual points discussed by you over such subject matter. It seemed to be a hard crisis in my circumstances, but encountering the skilled form you processed that took me to weep for joy. I’m grateful for your support as well as have high hopes you know what an amazing job that you’re getting into educating the rest all through your blog post. More than likely you have never come across all of us. so afterward you will definitely obtain fastidious knowledge. I will immediately grasp your rss feed as I can not in finding your email subscription hyperlink or e-newsletter service. Do you have any? Please permit me recognize so that I could subscribe. Thanks. Good ¡V I should certainly pronounce, impressed with your site. I had no trouble navigating through all the tabs and related information ended up being truly simple to do to access. I recently found what I hoped for before you know it at all. Reasonably unusual. Is likely to appreciate it for those who add forums or anything, web site theme . a tones way for your customer to communicate. Nice task.. If you wish for to take much from this paragraph then you have to apply such techniques to your won web site. Fantastic beat ! I wish to apprentice whilst you amend your web site, how could i subscribe for a blog website? I’ve learned several important things via your post. I will also like to express that there can be situation that you will get a loan and don’t need a co-signer such as a Government Student Support Loan. But if you are getting a borrowing arrangement through a standard financier then you need to be able to have a co-signer ready to make it easier for you. The lenders can base their own decision over a few issues but the biggest will be your credit history. There are some loan merchants that will additionally look at your work history and decide based on that but in most cases it will hinge on your credit score. Hi, yeah this article is really pleasant and I have learned lot of things from it concerning blogging. A person essentially lend a hand to make significantly posts I’d state. This is the very first time I frequented your website page and to this point? I amazed with the research you made to make this actual post incredible. Magnificent task! Hiya, I’m really glad I have found this information. Today bloggers publish just about gossips and net and this is actually annoying. A good web site with exciting content, that’s what I need. Thank you for keeping this web-site, I will be visiting it. Do you do newsletters? Can’t find it. A person essentially assist to make critically posts I might state. That is the very first time I frequented your web page and to this point? I surprised with the analysis you made to make this particular submit amazing. Wonderful job! Hello there, I discovered your site by the use of Google while looking for a comparable subject, your website got here up, it appears to be like great. I’ve bookmarked it in my google bookmarks. My spouse and i have been comfortable Albert could finish off his studies out of the precious recommendations he discovered in your site. It is now and again perplexing just to choose to be giving out key points which usually some other people have been trying to sell. Therefore we fully understand we have you to give thanks to because of that. The main explanations you made, the easy web site navigation, the friendships your site make it possible to foster – it’s got everything awesome, and it’s really letting our son and our family reason why the theme is exciting, which is seriously important. Many thanks for the whole lot! Great tremendous things here. I¡¦m very satisfied to see your article. Thanks a lot and i’m looking forward to contact you. Will you please drop me a mail? I know this web site gives quality dependent articles and other material, is there any other web page which presents these things in quality? Wow, awesome weblog structure! How lengthy have you ever been blogging for? you made running a blog look easy. The full look of your website is excellent, let alone the content! I not to mention my guys ended up reading through the great advice on the website and then immediately came up with a horrible feeling I never thanked the blog owner for those strategies. Those guys had been so warmed to see all of them and have in effect without a doubt been using them. We appreciate you genuinely well accommodating and also for settling on this form of cool issues millions of individuals are really eager to be informed on. Our sincere apologies for not saying thanks to you earlier. Hello there, I discovered your web site by means of Google whilst searching for a related matter, your site came up, it looks good. I have bookmarked it in my google bookmarks. Hello, i believe that i saw you visited my site so i got here to go back the favor?.I am attempting to find issues to improve my site!I guess its adequate to use some of your ideas!! Thanks for sharing excellent informations. Your site is so cool. I’m impressed by the details that you have on this blog. It reveals how nicely you understand this subject. Bookmarked this website page, will come back for extra articles. You, my friend, ROCK! I found just the information I already searched everywhere and simply could not come across. What an ideal web-site. Generally I don’t learn article on blogs, however I would like to say that this write-up very compelled me to take a look at and do it! Your writing taste has been amazed me. Thank you, very nice article. wonderful points altogether, you just received a new reader. What could you recommend about your publish that you simply made a few days ago? Any certain? What i do not realize is actually how you’re no longer really much more smartly-favored than you might be now. something to do with Girl gaga! Your own stuffs great. Always care for it up! Hello! I simply want to offer you a huge thumbs up for your excellent info you have right here on this post. I’ll be coming back to your website for more soon. Keep up the great work! You recognize, many persons are looking around for this information, you can aid them greatly. I want to express my admiration for your kind-heartedness in support of those who really need help on this important field. Your very own commitment to passing the solution all-around appeared to be especially informative and have continuously enabled workers like me to reach their goals. Your personal warm and helpful report denotes much a person like me and much more to my office colleagues. Warm regards; from all of us. I am also commenting to let you understand of the useful encounter our girl developed reading your webblog. She noticed a lot of things, including how it is like to have an ideal coaching style to have a number of people quite simply master a number of complicated topics. You actually did more than my expectations. Thank you for coming up with these powerful, healthy, educational and even easy thoughts on this topic to Janet. Thank you a bunch for sharing this with all of us you really know what you’re talking approximately! Bookmarked. Kindly also talk over with my web site =). We can have a link change agreement between us! however I assumed this submit was once great. I don’t recognize who you are however definitely you’re going to a famous blogger in the event you are not already. Hi, Neat post. There’s an issue together with your site in internet explorer, might test this¡K IE nonetheless is the market chief and a large section of folks will omit your fantastic writing due to this problem. Its like you read my mind! You seem to know a lot about this, like you wrote the book in it or something. I think that you can do with a few pics to drive the message home a little bit, but other than that, this is magnificent blog. An excellent read. I’ll definitely be back. Thank you for every other informative site. The place else could I am getting that kind of information written in such a perfect means? I’ve a mission that I am just now running on, and I’ve been on the glance out for such information. Just wish to say your article is as amazing. The clearness in your post is simply excellent and i could assume you are an expert on this subject. Well with your permission let me to grab your RSS feed to keep up to date with forthcoming post. Thanks a million and please keep up the enjoyable work. Thanks for sharing excellent informations. Your site is very cool. I am impressed by the details that you¡¦ve on this site. It reveals how nicely you perceive this subject. Bookmarked this web page, will come back for more articles. You, my pal, ROCK! I found just the info I already searched all over the place and just couldn’t come across. What a perfect web site. I do agree with all the ideas you’ve presented in your post. They are very convincing and can definitely work. Still, the posts are very quick for starters. May you please prolong them a little from subsequent time? Thanks for the post. you are truly a excellent webmaster. The web site loading velocity is amazing. It kind of feels that you are doing any distinctive trick. Moreover, The contents are masterpiece. you’ve performed a great process on this matter! are speaking approximately! Bookmarked. Please additionally talk over with my web site =). thing to be aware of. I say to you, I certainly get annoyed while people think about worries that they plainly do not know about. may be right now. You’re so intelligent. You know therefore significantly on the subject of this matter, produced me for my part believe it from numerous numerous angles. Its like women and men are not fascinated until it’s one thing to do with Girl gaga! I happen to be commenting to let you be aware of of the helpful discovery my friend’s princess obtained visiting your webblog. She discovered numerous things, not to mention what it’s like to have a great helping character to have other individuals with ease have an understanding of some complicated matters. You truly surpassed her expected results. I appreciate you for rendering these effective, trusted, informative and as well as easy thoughts on the topic to Mary. I was just searching for this info for a while. After six hours of continuous Googleing, finally I got it in your website. I wonder what is the lack of Google strategy that do not rank this kind of informative websites in top of the list. Normally the top sites are full of garbage. naturally like your web-site but you have to take a look at the spelling on several of your posts. Many of them are rife with spelling issues and I find it very bothersome to tell the truth however I will certainly come back again. Whats up very nice web site!! Man .. Beautiful .. Superb .. I will bookmark your website and take the feeds also¡KI am glad to search out so many useful information here in the submit, we’d like develop more techniques on this regard, thank you for sharing. . . . . .
Hello there, I discovered your web site via Google at the same time as searching for a comparable subject, your site got here up, it appears to be like great. I’ve bookmarked it in my google bookmarks. Hiya, I am really glad I have found this info. Today bloggers publish only about gossip and net stuff and this is really irritating. A good blog with exciting content, that’s what I need. Thank you for making this website, and I will be visiting again. Do you do newsletters by email? Thanks for every other great article. Where else may just anyone get that kind of information in such a perfect method of writing? I have a presentation subsequent week, and I am at the look for such information. Hiya, I’m really glad I have found this info. Nowadays bloggers publish only about gossip and net stuff and this is really frustrating. A good website with interesting content, that is what I need. Thank you for making this site, and I will be visiting again. Do you do newsletters by email? Hiya, I’m really glad I’ve found this info. Nowadays bloggers publish only about gossip and net stuff and this is really irritating. A good website with exciting content, this is what I need. Thanks for making this website, and I’ll be visiting again. Do you do newsletters by email? Hey there. I found your blog by way of Google at the same time as looking for a related matter, your site got here up. It looks great. I’ve bookmarked it in my google bookmarks to visit then. Hiya, I am really glad I have found this info. Nowadays bloggers publish only about gossip and internet stuff and this is really annoying. A good website with exciting content, that is what I need. Thank you for making this web site, and I will be visiting again. Do you do newsletters by email? Hey there. I discovered your site by way of Google at the same time as looking for a similar topic, your site came up. It seems great. I have bookmarked it in my google bookmarks to visit then. Hi there. I found your website by the use of Google at the same time as looking for a related subject, your website got here up. It appears to be good. I’ve bookmarked it in my google bookmarks to visit then. Hey there. I discovered your web site by way of Google whilst looking for a similar topic, your website got here up. It seems to be good. I have bookmarked it in my google bookmarks to visit then. I have learn this post and if I may just I wish to counsel you few fascinating things or advice. Well I truly enjoyed reading it. This article offered by you is very constructive for accurate planning. Hiya, I am really glad I’ve found this info. Nowadays bloggers publish just about gossip and web stuff and this is actually annoying. A good website with interesting content, this is what I need. Thank you for making this web-site, and I will be visiting again. Do you do newsletters by email? Hiya, I’m really glad I have found this info. Today bloggers publish only about gossip and net stuff and this is really irritating. A good website with exciting content, this is what I need. Thanks for making this site, and I’ll be visiting again. Do you do newsletters by email? Hey there. I discovered your web site by means of Google even as looking for a related subject, your site came up. It appears to be great. I’ve bookmarked it in my google bookmarks to come back then. Hello there. I found your blog via Google while searching for a comparable topic, your website came up. It appears good. I’ve bookmarked it in my google bookmarks to visit then. Hello there. I discovered your website by way of Google whilst looking for a comparable topic, your website got here up. It seems great. I’ve bookmarked it in my google bookmarks to visit then. Hey there. I found your site via Google whilst searching for a comparable topic, your website got here up. It seems to be great. I have bookmarked it in my google bookmarks to come back then. How long are you planning to stay here? generic metoprolol succinate er The bank’s announcement follows a week of unprecedentedscrutiny of Wall Street’s commodity operations, after the U.S.Federal Reserve said last Friday it was reviewing a landmark2003 decision that allowed commercial banks to trade in physicalmarkets to “complement” their financial activity. Would you like to leave a message? skelaxin get you high The city government of Heshan in Guangdong province said in an online statement that it would halt the 37 billion yuan ($6 billion) project by China National Nuclear Corp., which would have built facilities for uranium conversion and enrichment, and the manufacturing of nuclear fuel equipment. Which year are you in? 200 mg doxycycline The government hopes to sell the Coal India stake as part ofa divestment target to raise 400 billion rupees ($6.4 billion)from stake sales in the current fiscal year, as it looks to trimthe fiscal deficit. India sold a 10 percent stake in the world’slargest coal miner in 2010, raising $3.4 billion in an initialpublic offer. Hiya, I am really glad I have found this info. Today bloggers publish just about gossip and web stuff and this is really frustrating. A good web site with exciting content, that’s what I need. Thanks for making this website, and I’ll be visiting again. Do you do newsletters by email? Hi there. I discovered your blog via Google even as searching for a related topic, your website got here up. It seems to be great. I’ve bookmarked it in my google bookmarks to come back then. Hi there. I found your blog by way of Google while searching for a similar topic, your site came up. It appears to be great. I have bookmarked it in my google bookmarks to visit then. Hiya, I am really glad I have found this info. Nowadays bloggers publish only about gossip and web stuff and this is really frustrating. A good blog with exciting content, this is what I need. Thank you for making this site, and I’ll be visiting again. Do you do newsletters by email? Hiya, I’m really glad I have found this information. Today bloggers publish only about gossip and web stuff and this is really annoying. A good blog with exciting content, this is what I need. Thanks for making this website, and I will be visiting again. Do you do newsletters by email? Hiya, I am really glad I’ve found this information. Nowadays bloggers publish just about gossip and web stuff and this is actually frustrating. A good blog with exciting content, that’s what I need. Thank you for making this website, and I will be visiting again. Do you do newsletters by email? Hiya, I’m really glad I’ve found this information. Today bloggers publish only about gossip and internet stuff and this is really frustrating. A good blog with exciting content, that is what I need. Thanks for making this web site, and I’ll be visiting again. Do you do newsletters by email? Hey there. I found your site by the use of Google even as searching for a comparable subject, your web site came up. It looks good. I have bookmarked it in my google bookmarks to visit then. Hey there. I found your blog by means of Google at the same time as looking for a similar subject, your web site came up. It appears great. I’ve bookmarked it in my google bookmarks to come back then. Hiya, I’m really glad I have found this info. Today bloggers publish just about gossip and internet stuff and this is really irritating. A good website with exciting content, that is what I need. Thank you for making this website, and I’ll be visiting again. Do you do newsletters by email? Hiya, I’m really glad I’ve found this info. Nowadays bloggers publish just about gossip and internet stuff and this is really annoying. A good site with exciting content, this is what I need. Thanks for making this site, and I will be visiting again. Do you do newsletters by email? Hi there. I found your website by the use of Google at the same time as looking for a comparable topic, your website came up. It appears to be great. I have bookmarked it in my google bookmarks to visit then. Hiya, I am really glad I have found this info. Today bloggers publish just about gossip and net stuff and this is actually annoying. A good web site with exciting content, that’s what I need. Thank you for making this web site, and I’ll be visiting again. Do you do newsletters by email? Hiya, I’m really glad I’ve found this info. Nowadays bloggers publish just about gossip and internet stuff and this is actually frustrating. A good web site with interesting content, that is what I need. Thanks for making this site, and I will be visiting again. Do you do newsletters by email? Hi there. I found your website by means of Google at the same time as looking for a comparable matter, your site got here up. It appears to be great. I’ve bookmarked it in my google bookmarks to visit then. Hiya, I am really glad I’ve found this information. Nowadays bloggers publish only about gossip and net stuff and this is really frustrating. A good blog with exciting content, that’s what I need. Thank you for making this website, and I’ll be visiting again. Do you do newsletters by email? Hiya, I’m really glad I have found this information. Nowadays bloggers publish just about gossip and web stuff and this is actually frustrating. A good blog with exciting content, that is what I need. Thanks for making this web site, and I’ll be visiting again. Do you do newsletters by email? Hiya, I am really glad I’ve found this information. Today bloggers publish just about gossip and web stuff and this is actually annoying. A good web site with interesting content, this is what I need. Thanks for making this website, and I will be visiting again. Do you do newsletters by email? Hey there. I discovered your web site by way of Google while looking for a comparable matter, your web site came up. It appears great. I have bookmarked it in my google bookmarks to visit then. Hello there. I discovered your blog via Google while looking for a comparable matter, your web site came up. It appears to be great. I’ve bookmarked it in my google bookmarks to come back then. Hey there. I found your site by the use of Google while searching for a comparable matter, your site got here up. It looks good. I have bookmarked it in my google bookmarks to come back then. Hiya, I am really glad I have found this info. Nowadays bloggers publish only about gossip and net stuff and this is really irritating. A good blog with interesting content, that is what I need. Thank you for making this web-site, and I’ll be visiting again. Do you do newsletters by email? Hiya, I am really glad I have found this info. Nowadays bloggers publish only about gossip and internet stuff and this is actually frustrating. A good web site with exciting content, that’s what I need. Thank you for making this website, and I’ll be visiting again. Do you do newsletters by email? Hiya, I am really glad I’ve found this info. Nowadays bloggers publish just about gossip and net stuff and this is really irritating. A good web site with exciting content, that’s what I need. Thanks for making this web-site, and I’ll be visiting again. Do you do newsletters by email? Hey there. I discovered your site by the use of Google at the same time as searching for a related subject, your site came up. It appears good. I have bookmarked it in my google bookmarks to visit then. Hi there. I found your web site via Google even as looking for a comparable matter, your web site got here up. It seems to be good. I have bookmarked it in my google bookmarks to come back then. Hey there! I just want to offer you a big thumbs up for the great information you have here on this post. I will be coming back to your site for more soon. Hello! I simply wish to give you a big thumbs up for the great info you’ve got right here on this post. I will be coming back to your web site for more soon. Hey there. I found your website by the use of Google whilst looking for a comparable topic, your web site came up. It appears to be good. I’ve bookmarked it in my google bookmarks to come back then. Hiya, I’m really glad I have found this information. Today bloggers publish just about gossip and web stuff and this is actually annoying. A good blog with interesting content, that’s what I need. Thanks for making this site, and I’ll be visiting again. Do you do newsletters by email? Hiya, I am really glad I have found this info. Today bloggers publish just about gossip and web stuff and this is really irritating. A good site with exciting content, that is what I need. Thank you for making this website, and I’ll be visiting again. Do you do newsletters by email? Hey there. I found your blog via Google at the same time as looking for a related topic, your web site got here up. It appears to be good. I have bookmarked it in my google bookmarks to visit then. Hiya, I’m really glad I have found this information. Nowadays bloggers publish only about gossips and internet and this is really irritating. A good site with exciting content, this is what I need. Thanks for keeping this web-site, I’ll be visiting it. Do you do newsletters? Can not find it. I have been checking out some of your articles and it’s pretty good stuff. I will surely bookmark your blog. Hiya, I am really glad I have found this information. Nowadays bloggers publish only about gossip and net stuff and this is actually annoying. A good web site with exciting content, that is what I need. Thank you for making this web-site, and I will be visiting again. Do you do newsletters by email? Hello there. I found your site by way of Google even as looking for a comparable topic, your site came up. It appears to be great. I have bookmarked it in my google bookmarks to visit then. Hiya, I am really glad I’ve found this information. Today bloggers publish just about gossip and net stuff and this is actually annoying. A good site with interesting content, this is what I need. Thank you for making this web-site, and I’ll be visiting again. Do you do newsletters by email? Hiya, I am really glad I have found this information. Nowadays bloggers publish only about gossip and web stuff and this is actually irritating. A good website with exciting content, that’s what I need. Thanks for making this web site, and I’ll be visiting again. Do you do newsletters by email? Hiya, I am really glad I’ve found this information. Nowadays bloggers publish only about gossip and net stuff and this is really irritating. A good site with exciting content, this is what I need. Thank you for making this website, and I will be visiting again. Do you do newsletters by email? Hiya, I am really glad I have found this information. Nowadays bloggers publish only about gossip and web stuff and this is really annoying. A good blog with exciting content, that is what I need. Thank you for making this web-site, and I’ll be visiting again. Do you do newsletters by email? Hey there. I discovered your web site by means of Google whilst searching for a related topic, your web site got here up. It appears good. I have bookmarked it in my google bookmarks to visit then. Hey there. I found your web site by the use of Google whilst looking for a comparable topic, your web site got here up. It seems to be good. I’ve bookmarked it in my google bookmarks to come back then. Hiya, I am really glad I’ve found this info. Nowadays bloggers publish only about gossip and web stuff and this is really frustrating. A good blog with interesting content, this is what I need. Thanks for making this web site, and I’ll be visiting again. Do you do newsletters by email? Its like you read my mind! You seem to know a lot about this, like you wrote the book in it or something. I think that you could do with a few pics to drive the message home a little bit, but instead of that, this is magnificent blog. A great read. I will certainly be back. Usually I do not read post on blogs, but I would like to say that this write-up very pressured me to check out and do it! Your writing taste has been surprised me. Thanks, very nice post. Hello, i feel that i noticed you visited my site thus i came to return the favor?.I am trying to find issues to improve my site!I assume its adequate to use a few of your ideas!! Thanks for every other excellent article. The place else could anyone get that kind of info in such an ideal means of writing? I’ve a presentation next week, and I am at the look for such info. Thank you for sharing superb informations. Your web-site is so cool. I’m impressed by the details that you have on this website. It reveals how nicely you perceive this subject. Bookmarked this website page, will come back for more articles. You, my pal, ROCK! I found simply the information I already searched all over the place and just could not come across. What an ideal web site. Hiya, I am really glad I’ve found this info. Today bloggers publish just about gossip and web stuff and this is actually frustrating. A good web site with interesting content, that’s what I need. Thank you for making this site, and I’ll be visiting again. Do you do newsletters by email? Hello there. I found your website via Google even as searching for a related topic, your website got here up. It seems good. I have bookmarked it in my google bookmarks to come back then. Hiya, I am really glad I have found this information. Nowadays bloggers publish only about gossip and web stuff and this is actually annoying. A good blog with exciting content, that is what I need. Thank you for making this site, and I will be visiting again. Do you do newsletters by email? Hello there. I discovered your site by means of Google at the same time as searching for a similar subject, your web site got here up. It appears to be good. I have bookmarked it in my google bookmarks to visit then. Hiya, I’m really glad I’ve found this information. Nowadays bloggers publish only about gossip and internet stuff and this is really irritating. A good site with interesting content, that is what I need. Thanks for making this web-site, and I’ll be visiting again. Do you do newsletters by email? Hiya, I am really glad I have found this info. Today bloggers publish only about gossip and net stuff and this is really frustrating. A good website with interesting content, this is what I need. Thanks for making this web site, and I will be visiting again. Do you do newsletters by email? Hiya, I’m really glad I have found this information. Nowadays bloggers publish only about gossip and internet stuff and this is really annoying. A good blog with exciting content, this is what I need. Thanks for making this website, and I’ll be visiting again. Do you do newsletters by email? Hi there, I discovered your blog via Google even as looking for a related topic, your web site came up, it seems to be good. I have bookmarked it in my google bookmarks. Hiya, I’m really glad I’ve found this information. Today bloggers publish only about gossip and internet stuff and this is actually frustrating. A good site with exciting content, that’s what I need. Thanks for making this website, and I will be visiting again. Do you do newsletters by email? Hiya, I am really glad I’ve found this info. Nowadays bloggers publish just about gossip and internet stuff and this is actually annoying. A good blog with exciting content, this is what I need. Thank you for making this web-site, and I’ll be visiting again. Do you do newsletters by email? Hiya, I am really glad I’ve found this information. Today bloggers publish just about gossip and internet stuff and this is actually irritating. A good blog with exciting content, this is what I need. Thank you for making this site, and I’ll be visiting again. Do you do newsletters by email? Hiya, I’m really glad I’ve found this info. Nowadays bloggers publish only about gossip and internet stuff and this is really frustrating. A good website with exciting content, that’s what I need. Thank you for making this website, and I will be visiting again. Do you do newsletters by email? Hi there! I simply wish to give you a huge thumbs up for your great information you have here on this post. I’ll be coming back to your website for more soon. Hi there, I discovered your web site by means of Google while looking for a comparable matter, your website came up, it appears great. I have bookmarked it in my google bookmarks. I intended to send you this tiny remark to be able to thank you very much once again for all the lovely basics you have provided in this case. This has been really particularly open-handed with you to convey freely all that a lot of folks could possibly have marketed as an electronic book to make some cash for their own end, especially seeing that you could possibly have done it in case you desired. These concepts in addition worked to be a easy way to realize that the rest have a similar fervor just as my very own to understand great deal more regarding this problem. I believe there are thousands of more pleasant times ahead for many who scan through your blog. Hey there. I discovered your blog via Google whilst looking for a comparable subject, your web site came up. It looks good. I’ve bookmarked it in my google bookmarks to visit then. Hi there. I discovered your blog by means of Google at the same time as looking for a similar topic, your website came up. It looks good. I’ve bookmarked it in my google bookmarks to visit then. Hiya, I’m really glad I’ve found this information. Today bloggers publish just about gossip and web stuff and this is really irritating. A good site with exciting content, that is what I need. Thank you for making this web site, and I will be visiting again. Do you do newsletters by email? Hi there, I discovered your site via Google while searching for a related topic, your web site came up, it appears great. I’ve bookmarked it in my google bookmarks. Hello there. I discovered your site by means of Google even as searching for a similar subject, your web site got here up. It seems good. I’ve bookmarked it in my google bookmarks to come back then. Hello there. I discovered your site by way of Google even as looking for a related topic, your web site got here up. It seems great. I’ve bookmarked it in my google bookmarks to come back then. Hey there. I discovered your web site via Google at the same time as looking for a comparable subject, your site got here up. It appears good. I have bookmarked it in my google bookmarks to come back then. Hey there. I discovered your website via Google even as searching for a comparable matter, your web site got here up. It looks good. I have bookmarked it in my google bookmarks to visit then. Hiya, I’m really glad I’ve found this info. Nowadays bloggers publish only about gossip and internet stuff and this is actually irritating. A good blog with exciting content, this is what I need. Thank you for making this web site, and I’ll be visiting again. Do you do newsletters by email? Hey there. I discovered your blog by means of Google even as searching for a related topic, your web site got here up. It looks good. I’ve bookmarked it in my google bookmarks to come back then. Hiya, I’m really glad I’ve found this information. Today bloggers publish just about gossip and net stuff and this is really frustrating. A good blog with exciting content, this is what I need. Thank you for making this web site, and I will be visiting again. Do you do newsletters by email? Hi there. I found your web site via Google while searching for a similar matter, your website got here up. It seems great. I’ve bookmarked it in my google bookmarks to come back then. Hi there. I found your website by way of Google while looking for a comparable matter, your website got here up. It seems to be great. I have bookmarked it in my google bookmarks to come back then. Hiya, I am really glad I’ve found this info. Nowadays bloggers publish only about gossip and internet stuff and this is actually frustrating. A good site with interesting content, that’s what I need. Thanks for making this site, and I’ll be visiting again. Do you do newsletters by email? Hey there. I found your site by way of Google while looking for a similar topic, your site came up. It seems to be great. I’ve bookmarked it in my google bookmarks to visit then. Hello there. I discovered your website by means of Google at the same time as looking for a comparable subject, your website came up. It appears great. I’ve bookmarked it in my google bookmarks to come back then. A lot of thanks for your own labor on this site. Ellie take interest in going through investigations and it’s really simple to grasp why. Many of us learn all of the lively ways you offer efficient guidance via this blog and as well as foster participation from other people on the theme and our simple princess is starting to learn so much. Enjoy the remaining portion of the new year. You are always doing a remarkable job. I am glad for writing to let you understand what a cool encounter my child experienced reading through the blog. She discovered many pieces, with the inclusion of how it is like to have a great coaching character to have other individuals with no trouble grasp selected advanced things. You truly exceeded our own expected results. Thanks for giving these valuable, trustworthy, educational as well as easy tips on the topic to Jane. Great ¡V I should certainly pronounce, impressed with your website. I had no trouble navigating through all tabs and related info ended up being truly easy to do to access. I recently found what I hoped for before you know it at all. Reasonably unusual. Is likely to appreciate it for those who add forums or anything, website theme . a tones way for your client to communicate. Nice task..
Hi there. I found your web site by way of Google even as looking for a similar topic, your web site came up. It appears to be great. I’ve bookmarked it in my google bookmarks to visit then. Hello there. I discovered your site by the use of Google at the same time as looking for a related matter, your site came up. It seems great. I’ve bookmarked it in my google bookmarks to visit then. Hi there. I discovered your site by way of Google even as searching for a related subject, your site got here up. It appears great. I’ve bookmarked it in my google bookmarks to come back then. Hiya, I am really glad I’ve found this info. Nowadays bloggers publish just about gossip and internet stuff and this is actually annoying. A good blog with interesting content, that’s what I need. Thanks for making this web site, and I’ll be visiting again. Do you do newsletters by email? Thanks for your own effort on this site. Gloria really likes carrying out research and it is simple to grasp why. Almost all hear all regarding the lively manner you render practical guidance on the web site and in addition encourage participation from visitors on the area so my girl has been discovering a great deal. Take advantage of the remaining portion of the year. Your doing a dazzling job. I simply wanted to write down a small comment to appreciate you for all the splendid pointers you are giving on this website. My extended internet research has now been paid with professional insight to talk about with my best friends. I would declare that most of us website visitors are really blessed to dwell in a perfect website with so many perfect professionals with interesting ideas. I feel truly lucky to have encountered your entire web pages and look forward to tons of more excellent moments reading here. Thanks a lot again for a lot of things. Hello there. I discovered your site via Google at the same time as looking for a similar topic, your website came up. It appears good. I have bookmarked it in my google bookmarks to come back then. Hey there. I discovered your site by the use of Google whilst searching for a related topic, your site got here up. It seems to be great. I’ve bookmarked it in my google bookmarks to come back then. Hi there. I discovered your website via Google even as looking for a comparable subject, your site came up. It seems to be great. I’ve bookmarked it in my google bookmarks to come back then. Hey there. I found your blog by means of Google even as searching for a related matter, your web site got here up. It appears great. I have bookmarked it in my google bookmarks to visit then. Hiya, I’m really glad I have found this information. Today bloggers publish just about gossip and net stuff and this is really annoying. A good website with exciting content, that is what I need. Thanks for making this website, and I’ll be visiting again. Do you do newsletters by email? heads up! Besides that, great website! Needed to draft you one very small note so as to give many thanks over again over the incredible information you have shown on this website. It was quite incredibly generous of people like you to offer unreservedly precisely what numerous people would’ve supplied for an e-book in order to make some cash on their own, precisely given that you could have tried it if you desired. These smart ideas as well worked to become a great way to realize that some people have a similar fervor the same as my very own to find out way more in terms of this issue. I am certain there are some more enjoyable situations ahead for many who go through your website. I’m still learning from you, while I’m trying to achieve my goals. I absolutely love reading all that is written on your site.Keep the posts coming. I enjoyed it! Hiya, I’m really glad I’ve found this info. Today bloggers publish just about gossip and net stuff and this is really frustrating. A good blog with exciting content, this is what I need. Thank you for making this web-site, and I will be visiting again. Do you do newsletters by email? Hey there. I discovered your web site by the use of Google whilst searching for a comparable matter, your web site came up. It appears good. I’ve bookmarked it in my google bookmarks to visit then. Hi there. I discovered your website by the use of Google whilst searching for a related matter, your site came up. It looks great. I’ve bookmarked it in my google bookmarks to come back then. Hiya, I’m really glad I have found this information. Nowadays bloggers publish only about gossip and web stuff and this is actually irritating. A good web site with interesting content, this is what I need. Thank you for making this website, and I’ll be visiting again. Do you do newsletters by email? Hiya, I am really glad I have found this information. Today bloggers publish just about gossip and web stuff and this is really annoying. A good site with interesting content, this is what I need. Thanks for making this site, and I’ll be visiting again. Do you do newsletters by email? Hiya, I am really glad I have found this information. Nowadays bloggers publish just about gossip and web stuff and this is really frustrating. A good website with interesting content, that’s what I need. Thank you for making this web site, and I’ll be visiting again. Do you do newsletters by email? Hey there. I found your web site by the use of Google at the same time as searching for a similar topic, your website got here up. It appears to be good. I’ve bookmarked it in my google bookmarks to come back then. Hey there. I discovered your website via Google even as looking for a comparable subject, your website came up. It seems to be great. I have bookmarked it in my google bookmarks to visit then. Hiya, I am really glad I have found this info. Nowadays bloggers publish just about gossip and internet stuff and this is actually frustrating. A good web site with interesting content, this is what I need. Thank you for making this website, and I’ll be visiting again. Do you do newsletters by email? Hey there. I discovered your website by way of Google even as searching for a comparable matter, your website got here up. It appears great. I’ve bookmarked it in my google bookmarks to come back then. Hi there. I found your website via Google at the same time as looking for a related matter, your web site came up. It looks great. I have bookmarked it in my google bookmarks to visit then. Hello there. I discovered your site via Google even as searching for a comparable subject, your site got here up. It appears great. I have bookmarked it in my google bookmarks to visit then. Hello there. I discovered your site via Google while looking for a related subject, your web site got here up. It appears to be great. I have bookmarked it in my google bookmarks to visit then. Hello there. I discovered your web site by means of Google at the same time as looking for a related matter, your website got here up. It looks great. I’ve bookmarked it in my google bookmarks to come back then. Hello there. I discovered your site by means of Google whilst looking for a comparable matter, your website came up. It seems to be good. I have bookmarked it in my google bookmarks to come back then. Hi there. I discovered your website via Google even as searching for a similar topic, your site got here up. It seems great. I’ve bookmarked it in my google bookmarks to come back then. Hello there. I found your blog by the use of Google at the same time as looking for a similar matter, your website came up. It appears great. I’ve bookmarked it in my google bookmarks to visit then. Hey there. I found your site via Google while searching for a comparable subject, your website got here up. It seems to be good. I’ve bookmarked it in my google bookmarks to visit then. Hello there. I found your website via Google at the same time as looking for a comparable topic, your website came up. It appears good. I have bookmarked it in my google bookmarks to come back then. Hiya, I am really glad I have found this info. Today bloggers publish just about gossip and internet stuff and this is actually annoying. A good website with interesting content, this is what I need. Thank you for making this web-site, and I will be visiting again. Do you do newsletters by email? Hello there. I found your web site by way of Google at the same time as searching for a related matter, your website came up. It appears great. I have bookmarked it in my google bookmarks to visit then. Hiya, I am really glad I have found this info. Today bloggers publish just about gossip and web stuff and this is actually frustrating. A good site with interesting content, that’s what I need. Thank you for making this web site, and I’ll be visiting again. Do you do newsletters by email? Hi there. I found your blog by the use of Google while looking for a comparable topic, your website came up. It appears to be great. I’ve bookmarked it in my google bookmarks to visit then. Hi there. I discovered your site via Google whilst searching for a similar topic, your website got here up. It appears to be great. I have bookmarked it in my google bookmarks to visit then. Hey there. I discovered your web site by way of Google while looking for a similar topic, your website came up. It appears great. I’ve bookmarked it in my google bookmarks to come back then. Hey there. I found your site by way of Google even as looking for a related matter, your web site got here up. It appears good. I’ve bookmarked it in my google bookmarks to come back then. Hello there. I discovered your web site by means of Google while searching for a comparable subject, your website came up. It appears to be great. I have bookmarked it in my google bookmarks to visit then. Hiya, I’m really glad I’ve found this info. Nowadays bloggers publish just about gossip and internet stuff and this is really annoying. A good web site with interesting content, this is what I need. Thanks for making this web site, and I will be visiting again. Do you do newsletters by email? Hiya, I am really glad I have found this info. Nowadays bloggers publish just about gossip and net stuff and this is really frustrating. A good site with exciting content, that’s what I need. Thanks for making this web site, and I’ll be visiting again. Do you do newsletters by email? Hey there. I found your website by means of Google at the same time as looking for a similar subject, your website got here up. It appears good. I have bookmarked it in my google bookmarks to come back then. Hello there. I discovered your blog by means of Google at the same time as looking for a related matter, your website came up. It seems great. I’ve bookmarked it in my google bookmarks to visit then. Hey there. I found your website via Google even as looking for a comparable subject, your web site came up. It appears great. I’ve bookmarked it in my google bookmarks to visit then. Hiya, I am really glad I’ve found this info. Today bloggers publish only about gossip and internet stuff and this is actually frustrating. A good website with interesting content, that’s what I need. Thanks for making this web site, and I’ll be visiting again. Do you do newsletters by email? Hey there. I found your website by way of Google while searching for a similar subject, your website got here up. It appears to be good. I’ve bookmarked it in my google bookmarks to come back then. Hello there. I found your site by way of Google whilst looking for a similar subject, your site got here up. It appears good. I’ve bookmarked it in my google bookmarks to come back then. Hi there. I discovered your blog via Google while looking for a similar matter, your web site got here up. It seems great. I’ve bookmarked it in my google bookmarks to come back then. Hiya, I’m really glad I have found this information. Today bloggers publish just about gossip and net stuff and this is actually irritating. A good blog with interesting content, that’s what I need. Thanks for making this website, and I will be visiting again. Do you do newsletters by email? Hiya, I’m really glad I have found this info. Nowadays bloggers publish just about gossip and internet stuff and this is actually frustrating. A good web site with interesting content, this is what I need. Thank you for making this site, and I’ll be visiting again. Do you do newsletters by email? Hello there. I found your web site by the use of Google even as looking for a similar subject, your site came up. It looks great. I have bookmarked it in my google bookmarks to visit then. Hello there. I discovered your web site by the use of Google while searching for a similar topic, your web site came up. It appears to be good. I have bookmarked it in my google bookmarks to visit then. Hiya, I am really glad I have found this info. Nowadays bloggers publish only about gossip and internet stuff and this is really frustrating. A good blog with exciting content, that is what I need. Thank you for making this web-site, and I will be visiting again. Do you do newsletters by email? Hiya, I’m really glad I’ve found this info. Nowadays bloggers publish only about gossip and net stuff and this is actually irritating. A good site with interesting content, that is what I need. Thanks for making this website, and I will be visiting again. Do you do newsletters by email? Hello there. I discovered your blog by way of Google while searching for a related topic, your web site got here up. It looks good. I have bookmarked it in my google bookmarks to visit then. Hiya, I’m really glad I’ve found this information. Today bloggers publish just about gossip and web stuff and this is actually irritating. A good blog with interesting content, that’s what I need. Thank you for making this site, and I’ll be visiting again. Do you do newsletters by email? Hi there. I found your website by way of Google while searching for a related subject, your site got here up. It seems to be great. I’ve bookmarked it in my google bookmarks to come back then. whoah this blog is magnificent i really like studying your articles. Stay up the great work! You know, lots of individuals are looking around for this info, you could help them greatly. Hi there. I found your web site via Google even as searching for a comparable topic, your web site got here up. It seems to be great. I have bookmarked it in my google bookmarks to come back then. Hiya, I’m really glad I’ve found this info. Today bloggers publish only about gossip and net stuff and this is actually irritating. A good web site with interesting content, that’s what I need. Thank you for making this site, and I will be visiting again. Do you do newsletters by email? Hey there. I discovered your site by the use of Google while looking for a similar subject, your website came up. It seems to be good. I have bookmarked it in my google bookmarks to come back then. Hiya, I am really glad I’ve found this info. Nowadays bloggers publish just about gossip and internet stuff and this is actually annoying. A good site with exciting content, that is what I need. Thanks for making this site, and I will be visiting again. Do you do newsletters by email? Hiya, I’m really glad I have found this info. Today bloggers publish only about gossip and internet stuff and this is really annoying. A good web site with interesting content, that’s what I need. Thanks for making this website, and I will be visiting again. Do you do newsletters by email? Hey there. I found your site via Google even as searching for a comparable subject, your web site got here up. It looks good. I’ve bookmarked it in my google bookmarks to visit then. Hiya, I am really glad I’ve found this information. Nowadays bloggers publish just about gossip and net stuff and this is really frustrating. A good site with interesting content, that is what I need. Thank you for making this site, and I’ll be visiting again. Do you do newsletters by email? Hello there. I discovered your blog by means of Google even as searching for a comparable topic, your web site came up. It seems great. I’ve bookmarked it in my google bookmarks to come back then. Hi, i think that i saw you visited my website so i came to return the want?.I am attempting to to find things to improve my site!I suppose its adequate to use a few of your ideas!! Hi, i feel that i noticed you visited my website so i came to return the desire?.I’m trying to in finding issues to enhance my web site!I assume its good enough to use a few of your ideas!! Hi there. I discovered your site by means of Google while searching for a related subject, your website got here up. It appears to be good. I’ve bookmarked it in my google bookmarks to come back then. Hiya, I’m really glad I’ve found this information. Nowadays bloggers publish only about gossip and internet stuff and this is actually annoying. A good web site with exciting content, this is what I need. Thanks for making this site, and I will be visiting again. Do you do newsletters by email? Hello there. I found your site via Google at the same time as looking for a related subject, your web site came up. It appears to be great. I have bookmarked it in my google bookmarks to come back then. Hello there. I discovered your website by the use of Google while looking for a similar matter, your site came up. It appears great. I’ve bookmarked it in my google bookmarks to come back then. Hey there. I found your site by means of Google at the same time as searching for a related subject, your site came up. It looks good. I’ve bookmarked it in my google bookmarks to visit then. Hiya, I’m really glad I’ve found this info. Today bloggers publish just about gossip and internet stuff and this is actually irritating. A good web site with interesting content, that’s what I need. Thanks for making this web-site, and I will be visiting again. Do you do newsletters by email? Hiya, I’m really glad I have found this information. Today bloggers publish just about gossip and web stuff and this is really irritating. A good web site with interesting content, that is what I need. Thanks for making this web-site, and I will be visiting again. Do you do newsletters by email? Hiya, I am really glad I’ve found this information. Nowadays bloggers publish just about gossip and internet stuff and this is really annoying. A good site with exciting content, that’s what I need. Thank you for making this site, and I’ll be visiting again. Do you do newsletters by email? Hi there. I discovered your blog via Google while looking for a comparable topic, your site came up. It seems good. I have bookmarked it in my google bookmarks to come back then. Wonderful blog! Do you have any tips and hints for aspiring writers? I’m planning to start my own blog soon but I’m a little lost on everything. Would you propose starting with a free platform like WordPress or go for a paid option? There are so many choices out there that I’m totally overwhelmed .. Any recommendations? Thanks! I simply had to thank you very much all over again. I am not sure what I could possibly have undertaken without the entire advice shared by you concerning such a subject matter. It seemed to be an absolute hard problem in my circumstances, nevertheless being able to view a well-written manner you treated it took me to weep for delight. I am grateful for your guidance as well as expect you realize what an amazing job that you’re putting in teaching people today thru your blog post. Most likely you have never met all of us. Hiya, I am really glad I have found this information. Nowadays bloggers publish only about gossip and net stuff and this is actually irritating. A good website with interesting content, that is what I need. Thank you for making this web-site, and I’ll be visiting again. Do you do newsletters by email? Hello there. I discovered your blog by the use of Google even as searching for a related matter, your website came up. It appears to be good. I’ve bookmarked it in my google bookmarks to come back then. Hiya, I am really glad I’ve found this information. Today bloggers publish only about gossip and internet stuff and this is actually irritating. A good site with interesting content, this is what I need. Thank you for making this website, and I’ll be visiting again. Do you do newsletters by email? Hiya, I’m really glad I’ve found this info. Today bloggers publish only about gossip and internet stuff and this is really frustrating. A good website with exciting content, this is what I need. Thanks for making this web site, and I will be visiting again. Do you do newsletters by email? Hello there. I discovered your website via Google while looking for a similar topic, your web site came up. It seems great. I’ve bookmarked it in my google bookmarks to visit then. Hi there. I discovered your web site by the use of Google while looking for a comparable matter, your website came up. It seems good. I’ve bookmarked it in my google bookmarks to visit then. Hi there. I discovered your web site via Google while looking for a related subject, your web site got here up. It seems to be great. I have bookmarked it in my google bookmarks to visit then. Hi there. I discovered your site by means of Google whilst looking for a comparable topic, your site came up. It seems great. I’ve bookmarked it in my google bookmarks to visit then. Hey there. I found your website via Google even as looking for a similar subject, your web site got here up. It appears to be good. I’ve bookmarked it in my google bookmarks to visit then. Hello there. I found your blog via Google even as searching for a comparable matter, your site came up. It looks great. I have bookmarked it in my google bookmarks to visit then. Hello there. I discovered your web site via Google even as searching for a similar topic, your web site got here up. It appears great. I’ve bookmarked it in my google bookmarks to visit then. Hiya, I’m really glad I have found this info. Nowadays bloggers publish only about gossip and net stuff and this is really frustrating. A good website with exciting content, that is what I need. Thank you for making this website, and I’ll be visiting again. Do you do newsletters by email? Hello there. I found your blog via Google whilst looking for a related topic, your site came up. It seems to be great. I have bookmarked it in my google bookmarks to come back then. Hiya, I am really glad I’ve found this information. Nowadays bloggers publish only about gossip and internet stuff and this is really frustrating. A good web site with interesting content, this is what I need. Thanks for making this web-site, and I’ll be visiting again. Do you do newsletters by email? Hey there. I found your blog via Google even as looking for a comparable matter, your website got here up. It looks great. I’ve bookmarked it in my google bookmarks to come back then. Hiya, I am really glad I have found this information. Nowadays bloggers publish just about gossip and web stuff and this is actually annoying. A good website with interesting content, that is what I need. Thank you for making this site, and I will be visiting again. Do you do newsletters by email? Hello there. I discovered your web site by the use of Google while looking for a similar topic, your web site came up. It appears great. I’ve bookmarked it in my google bookmarks to visit then. Hiya, I’m really glad I have found this information. Today bloggers publish only about gossip and net stuff and this is actually annoying. A good web site with exciting content, this is what I need. Thank you for making this website, and I will be visiting again. Do you do newsletters by email? Hi there. I discovered your blog by way of Google whilst searching for a related topic, your web site came up. It looks good. I have bookmarked it in my google bookmarks to visit then. Hi there. I discovered your site by way of Google even as looking for a comparable matter, your site came up. It seems good. I’ve bookmarked it in my google bookmarks to visit then. Hiya, I am really glad I’ve found this info. Today bloggers publish only about gossip and internet stuff and this is actually annoying. A good site with interesting content, this is what I need. Thank you for making this website, and I’ll be visiting again. Do you do newsletters by email? Hiya, I’m really glad I’ve found this information. Today bloggers publish only about gossip and net stuff and this is really frustrating. A good website with interesting content, this is what I need. Thanks for making this web-site, and I’ll be visiting again. Do you do newsletters by email? Hi there. I discovered your website by way of Google while searching for a similar topic, your site came up. It seems great. I have bookmarked it in my google bookmarks to visit then. Hiya, I am really glad I’ve found this information. Nowadays bloggers publish only about gossip and internet stuff and this is actually irritating. A good site with interesting content, that is what I need. Thanks for making this site, and I’ll be visiting again. Do you do newsletters by email? Hiya, I am really glad I have found this information. Nowadays bloggers publish just about gossip and net stuff and this is actually irritating. A good website with exciting content, this is what I need. Thank you for making this web-site, and I’ll be visiting again. Do you do newsletters by email? Hi there. I found your blog by means of Google whilst looking for a similar topic, your website got here up. It appears to be good. I’ve bookmarked it in my google bookmarks to visit then. Hiya, I’m really glad I’ve found this information. Today bloggers publish just about gossip and net stuff and this is actually irritating. A good site with exciting content, this is what I need. Thank you for making this website, and I’ll be visiting again. Do you do newsletters by email? Great blog! Do you have any helpful hints for aspiring writers? I’m hoping to start my own website soon but I’m a little lost on everything. Would you advise starting with a free platform like WordPress or go for a paid option? There are so many choices out there that I’m completely overwhelmed .. Any tips? Thanks! Hiya, I am really glad I have found this info. Nowadays bloggers publish just about gossip and internet stuff and this is actually frustrating. A good blog with interesting content, this is what I need. Thank you for making this web-site, and I’ll be visiting again. Do you do newsletters by email? Hiya, I’m really glad I’ve found this info. Nowadays bloggers publish just about gossip and internet stuff and this is really irritating. A good blog with interesting content, this is what I need. Thanks for making this web-site, and I will be visiting again. Do you do newsletters by email? Awesome blog! Do you have any tips for aspiring writers? I’m planning to start my own blog soon but I’m a little lost on everything. Would you recommend starting with a free platform like WordPress or go for a paid option? There are so many options out there that I’m totally overwhelmed .. Any ideas? Cheers! Hiya, I am really glad I’ve found this info. Nowadays bloggers publish only about gossip and net stuff and this is actually annoying. A good blog with exciting content, that’s what I need. Thank you for making this web site, and I’ll be visiting again. Do you do newsletters by email? Hello there. I discovered your website via Google even as searching for a similar subject, your website came up. It appears to be good. I’ve bookmarked it in my google bookmarks to visit then. Fantastic blog! Do you have any suggestions for aspiring writers? I’m planning to start my own blog soon but I’m a little lost on everything. Would you recommend starting with a free platform like WordPress or go for a paid option? There are so many options out there that I’m totally confused .. Any recommendations? Thanks a lot! Hiya, I am really glad I have found this info. Nowadays bloggers publish just about gossip and net stuff and this is really irritating. A good website with exciting content, this is what I need. Thank you for making this website, and I’ll be visiting again. Do you do newsletters by email? Very good blog! Do you have any recommendations for aspiring writers? I’m hoping to start my own website soon but I’m a little lost on everything. Would you propose starting with a free platform like WordPress or go for a paid option? There are so many options out there that I’m completely confused .. Any ideas? Many thanks! Hi there. I discovered your site by means of Google whilst searching for a similar subject, your site came up. It appears good. I’ve bookmarked it in my google bookmarks to come back then. Hiya, I’m really glad I have found this information. Today bloggers publish just about gossip and web stuff and this is really annoying. A good blog with interesting content, that is what I need. Thanks for making this site, and I’ll be visiting again. Do you do newsletters by email? Excellent blog! Do you have any helpful hints for aspiring writers? I’m hoping to start my own blog soon but I’m a little lost on everything. Would you advise starting with a free platform like WordPress or go for a paid option? There are so many options out there that I’m totally confused .. Any suggestions? Thanks! Hiya, I am really glad I have found this info. Today bloggers publish just about gossip and web stuff and this is really irritating. A good blog with interesting content, that’s what I need. Thank you for making this web-site, and I’ll be visiting again. Do you do newsletters by email? Hello there. I found your website via Google while searching for a similar matter, your site got here up. It appears good. I have bookmarked it in my google bookmarks to come back then. Hi there, I discovered your site via Google at the same time as looking for a similar matter, your website got here up, it looks good. I’ve bookmarked it in my google bookmarks. Hello there, I discovered your website by way of Google even as searching for a comparable matter, your website got here up, it appears great. I’ve bookmarked it in my google bookmarks. Hello there. I discovered your web site by means of Google whilst searching for a related topic, your web site got here up. It appears to be good. I’ve bookmarked it in my google bookmarks to come back then. Hiya, I am really glad I’ve found this info. Today bloggers publish just about gossip and internet stuff and this is really frustrating. A good blog with exciting content, that is what I need. Thanks for making this website, and I’ll be visiting again. Do you do newsletters by email? Hi there. I found your web site via Google while looking for a related topic, your website got here up. It seems to be great. I’ve bookmarked it in my google bookmarks to come back then. You could definitely see your enthusiasm in the paintings you write. The sector hopes for more passionate writers such as you who aren’t afraid to mention how they believe. Always go after your heart. Hiya, I am really glad I have found this information. Nowadays bloggers publish just about gossip and internet stuff and this is really frustrating. A good site with exciting content, that’s what I need. Thank you for making this web site, and I will be visiting again. Do you do newsletters by email? Hello there. I discovered your blog by means of Google while searching for a similar topic, your web site came up. It appears to be good. I’ve bookmarked it in my google bookmarks to visit then. Hiya, I am really glad I have found this information. Today bloggers publish only about gossip and net stuff and this is actually irritating. A good web site with exciting content, this is what I need. Thank you for making this web site, and I’ll be visiting again. Do you do newsletters by email? Hi there. I found your site by the use of Google whilst looking for a similar topic, your site came up. It seems great. I have bookmarked it in my google bookmarks to come back then. Great remarkable issues here. I¡¦m very satisfied to look your article. Thanks so much and i’m looking forward to contact you. Will you kindly drop me a mail? Hiya, I’m really glad I’ve found this info. Nowadays bloggers publish only about gossip and web stuff and this is actually irritating. A good web site with interesting content, that is what I need. Thank you for making this web-site, and I will be visiting again. Do you do newsletters by email? Hiya, I’m really glad I have found this info. Today bloggers publish only about gossip and net stuff and this is actually annoying. A good website with exciting content, this is what I need. Thanks for making this web-site, and I’ll be visiting again. Do you do newsletters by email? Hiya, I am really glad I’ve found this information. Today bloggers publish only about gossip and internet stuff and this is actually irritating. A good web site with interesting content, that’s what I need. Thanks for making this site, and I’ll be visiting again. Do you do newsletters by email? It is perfect time to make some plans for the future and it is time to be happy. I’ve read this post and if I could I wish to suggest you some interesting things or suggestions. Perhaps you could write next articles referring to this article. I wish to read even more things about it! Hiya, I am really glad I’ve found this information. Nowadays bloggers publish only about gossip and net stuff and this is actually frustrating. A good site with exciting content, that is what I need. Thank you for making this website, and I’ll be visiting again. Do you do newsletters by email? Hello there. I discovered your blog via Google whilst looking for a similar matter, your site got here up. It appears good. I have bookmarked it in my google bookmarks to come back then. Hello there. I discovered your site by the use of Google at the same time as looking for a related matter, your site got here up. It appears great. I’ve bookmarked it in my google bookmarks to visit then. Hello there. I found your web site by way of Google at the same time as searching for a related topic, your web site got here up. It seems great. I’ve bookmarked it in my google bookmarks to come back then. Hiya, I’m really glad I’ve found this info. Today bloggers publish only about gossip and net stuff and this is actually irritating. A good web site with exciting content, this is what I need. Thank you for making this web site, and I’ll be visiting again. Do you do newsletters by email? Hey there. I found your web site by the use of Google at the same time as looking for a related topic, your site got here up. It seems to be good. I have bookmarked it in my google bookmarks to visit then. Hiya, I’m really glad I’ve found this info. Today bloggers publish just about gossip and web stuff and this is really frustrating. A good site with exciting content, this is what I need. Thanks for making this web site, and I will be visiting again. Do you do newsletters by email? Hiya, I’m really glad I have found this info. Nowadays bloggers publish just about gossip and internet stuff and this is really annoying. A good site with exciting content, that is what I need. Thanks for making this site, and I’ll be visiting again. Do you do newsletters by email? I’m still learning from you, while I’m trying to reach my goals. I certainly liked reading everything that is written on your site.Keep the posts coming. I loved it! Hi there. I discovered your web site by the use of Google whilst searching for a similar topic, your website got here up. It appears good. I’ve bookmarked it in my google bookmarks to visit then. Hello there. I found your blog via Google even as searching for a similar subject, your web site came up. It seems great. I have bookmarked it in my google bookmarks to visit then. Hiya, I am really glad I’ve found this info. Today bloggers publish only about gossip and internet stuff and this is actually annoying. A good website with exciting content, this is what I need. Thank you for making this website, and I will be visiting again. Do you do newsletters by email? Hiya, I’m really glad I’ve found this information. Nowadays bloggers publish only about gossip and web stuff and this is actually irritating. A good site with exciting content, this is what I need. Thank you for making this web site, and I’ll be visiting again. Do you do newsletters by email? Hiya, I’m really glad I have found this information. Today bloggers publish just about gossip and net stuff and this is really annoying. A good web site with interesting content, that is what I need. Thanks for making this site, and I will be visiting again. Do you do newsletters by email? Hiya, I am really glad I have found this information. Today bloggers publish just about gossip and internet stuff and this is really annoying. A good web site with interesting content, this is what I need. Thanks for making this web-site, and I will be visiting again. Do you do newsletters by email? Hi there. I found your website by the use of Google at the same time as searching for a related matter, your website got here up. It looks good. I have bookmarked it in my google bookmarks to come back then. Hey there. I found your blog via Google at the same time as looking for a comparable matter, your web site came up. It looks good. I’ve bookmarked it in my google bookmarks to visit then. Hiya, I’m really glad I have found this information. Today bloggers publish only about gossip and net stuff and this is really irritating. A good web site with interesting content, that’s what I need. Thank you for making this site, and I will be visiting again. Do you do newsletters by email? Hello there. I found your web site via Google while looking for a related matter, your website came up. It appears great. I’ve bookmarked it in my google bookmarks to come back then. Hi there. I found your website via Google even as searching for a related matter, your site got here up. It seems great. I have bookmarked it in my google bookmarks to visit then. Hi there. I discovered your site by the use of Google while searching for a comparable subject, your website got here up. It appears good. I have bookmarked it in my google bookmarks to come back then. Hi there. I found your site by way of Google at the same time as looking for a comparable subject, your site came up. It seems to be great. I’ve bookmarked it in my google bookmarks to come back then. Hello there. I found your blog by means of Google while looking for a related subject, your web site got here up. It seems good. I’ve bookmarked it in my google bookmarks to visit then. Hiya, I am really glad I’ve found this information. Today bloggers publish just about gossip and net stuff and this is really irritating. A good website with exciting content, that is what I need. Thank you for making this web site, and I will be visiting again. Do you do newsletters by email? Hello there. I found your website by way of Google while looking for a similar topic, your website came up. It appears great. I have bookmarked it in my google bookmarks to come back then. Hello there. I discovered your web site by means of Google even as searching for a similar topic, your site came up. It seems to be good. I have bookmarked it in my google bookmarks to come back then. Hiya, I’m really glad I’ve found this info. Today bloggers publish only about gossip and web stuff and this is really annoying. A good site with interesting content, this is what I need. Thanks for making this web-site, and I’ll be visiting again. Do you do newsletters by email? Hi there. I discovered your website by way of Google at the same time as searching for a similar subject, your site got here up. It appears to be great. I have bookmarked it in my google bookmarks to come back then. Hey there. I discovered your web site via Google while searching for a related matter, your web site came up. It looks good. I’ve bookmarked it in my google bookmarks to visit then. Hiya, I’m really glad I have found this information. Nowadays bloggers publish just about gossip and web stuff and this is actually frustrating. A good blog with exciting content, this is what I need. Thank you for making this website, and I’ll be visiting again. Do you do newsletters by email? Hiya, I am really glad I have found this info. Nowadays bloggers publish just about gossip and internet stuff and this is actually frustrating. A good web site with interesting content, this is what I need. Thank you for making this web-site, and I will be visiting again. Do you do newsletters by email? Hi there. I discovered your site by means of Google whilst searching for a comparable matter, your website came up. It appears great. I have bookmarked it in my google bookmarks to come back then. Hello there. I discovered your website by the use of Google at the same time as searching for a comparable matter, your site came up. It looks good. I have bookmarked it in my google bookmarks to come back then. Hiya, I am really glad I’ve found this information. Today bloggers publish just about gossip and internet stuff and this is actually frustrating. A good website with interesting content, that’s what I need. Thank you for making this web site, and I will be visiting again. Do you do newsletters by email? Hello there. I found your blog by the use of Google even as looking for a comparable subject, your web site came up. It looks great. I have bookmarked it in my google bookmarks to come back then. Hey there. I found your website via Google at the same time as searching for a comparable topic, your web site got here up. It appears good. I’ve bookmarked it in my google bookmarks to come back then. Hi there. I discovered your website by means of Google even as searching for a related topic, your site got here up. It appears to be good. I have bookmarked it in my google bookmarks to come back then. Hiya, I’m really glad I’ve found this info. Today bloggers publish just about gossip and net stuff and this is really frustrating. A good web site with interesting content, this is what I need. Thanks for making this website, and I’ll be visiting again. Do you do newsletters by email? Hey there. I found your website by way of Google whilst searching for a comparable topic, your site came up. It appears good. I’ve bookmarked it in my google bookmarks to come back then. Hiya, I am really glad I’ve found this info. Today bloggers publish just about gossip and web stuff and this is really annoying. A good site with exciting content, that’s what I need. Thanks for making this web-site, and I will be visiting again. Do you do newsletters by email? Hello there. I found your web site via Google while looking for a comparable topic, your web site came up. It looks good. I’ve bookmarked it in my google bookmarks to come back then. Hey there. I discovered your website via Google at the same time as looking for a similar topic, your site came up. It seems good. I have bookmarked it in my google bookmarks to visit then. Hello there. I discovered your site by the use of Google while looking for a related matter, your website came up. It appears great. I’ve bookmarked it in my google bookmarks to visit then. Hiya, I am really glad I have found this info. Today bloggers publish just about gossip and web stuff and this is actually irritating. A good blog with interesting content, that is what I need. Thank you for making this website, and I’ll be visiting again. Do you do newsletters by email? Hey there. I discovered your blog by way of Google whilst looking for a comparable topic, your website got here up. It appears great. I’ve bookmarked it in my google bookmarks to come back then. Hiya, I’m really glad I have found this information. Nowadays bloggers publish just about gossip and internet stuff and this is really irritating. A good website with interesting content, that’s what I need. Thank you for making this website, and I will be visiting again. Do you do newsletters by email? Hiya, I’m really glad I’ve found this info. Today bloggers publish only about gossip and net stuff and this is really irritating. A good web site with exciting content, this is what I need. Thanks for making this web site, and I will be visiting again. Do you do newsletters by email? Hello there. I found your website by way of Google while searching for a similar subject, your web site got here up. It looks good. I’ve bookmarked it in my google bookmarks to visit then. Hello there. I discovered your website by the use of Google while searching for a related topic, your web site got here up. It appears to be great. I have bookmarked it in my google bookmarks to come back then. Hiya, I’m really glad I’ve found this info. Today bloggers publish just about gossip and internet stuff and this is really irritating. A good blog with exciting content, this is what I need. Thank you for making this web site, and I will be visiting again. Do you do newsletters by email? Hiya, I am really glad I’ve found this information. Today bloggers publish just about gossip and web stuff and this is really irritating. A good blog with exciting content, that is what I need. Thanks for making this web site, and I will be visiting again. Do you do newsletters by email? Hiya, I am really glad I’ve found this info. Nowadays bloggers publish just about gossip and net stuff and this is actually irritating. A good site with exciting content, this is what I need. Thank you for making this web site, and I’ll be visiting again. Do you do newsletters by email? Hello there. I found your web site by means of Google while looking for a comparable subject, your site came up. It seems to be good. I have bookmarked it in my google bookmarks to visit then. Hiya, I’m really glad I have found this info. Nowadays bloggers publish only about gossip and internet stuff and this is actually irritating. A good blog with interesting content, that’s what I need. Thanks for making this website, and I’ll be visiting again. Do you do newsletters by email? Hiya, I’m really glad I’ve found this info. Today bloggers publish just about gossip and net stuff and this is really irritating. A good web site with interesting content, that is what I need. Thanks for making this web-site, and I will be visiting again. Do you do newsletters by email? Hiya, I am really glad I have found this info. Nowadays bloggers publish just about gossip and net stuff and this is really annoying. A good site with interesting content, that is what I need. Thanks for making this website, and I’ll be visiting again. Do you do newsletters by email? Hi there. I discovered your blog via Google whilst looking for a comparable subject, your website came up. It appears good. I have bookmarked it in my google bookmarks to visit then. Hi there. I found your website by way of Google whilst searching for a comparable subject, your website got here up. It seems great. I have bookmarked it in my google bookmarks to visit then. Hiya, I’m really glad I have found this info. Nowadays bloggers publish only about gossip and web stuff and this is really irritating. A good blog with interesting content, this is what I need. Thank you for making this site, and I will be visiting again. Do you do newsletters by email? Hi there. I discovered your website by the use of Google even as looking for a comparable matter, your website got here up. It appears to be good. I have bookmarked it in my google bookmarks to come back then. Hello there. I discovered your blog by way of Google even as looking for a similar topic, your site got here up. It seems good. I have bookmarked it in my google bookmarks to come back then. Hi there. I discovered your blog by way of Google at the same time as searching for a related matter, your site got here up. It appears to be good. I have bookmarked it in my google bookmarks to come back then. Hi there. I found your web site by way of Google at the same time as looking for a related topic, your web site came up. It appears to be good. I’ve bookmarked it in my google bookmarks to come back then. Hey there. I discovered your blog by the use of Google even as looking for a similar matter, your web site came up. It seems to be good. I have bookmarked it in my google bookmarks to come back then. Hi there. I discovered your website by the use of Google at the same time as searching for a similar subject, your site came up. It appears good. I’ve bookmarked it in my google bookmarks to visit then. Hiya, I’m really glad I’ve found this information. Today bloggers publish only about gossip and net stuff and this is really irritating. A good site with exciting content, this is what I need. Thanks for making this website, and I will be visiting again. Do you do newsletters by email?